Temperamalerei auf Kreidegrund auf Holz, teilvergoldet. Der Ikone ist ein Gutachten des Ikonenmuseums Schloss Autenried bei Günzburg/ Donau beigegeben. 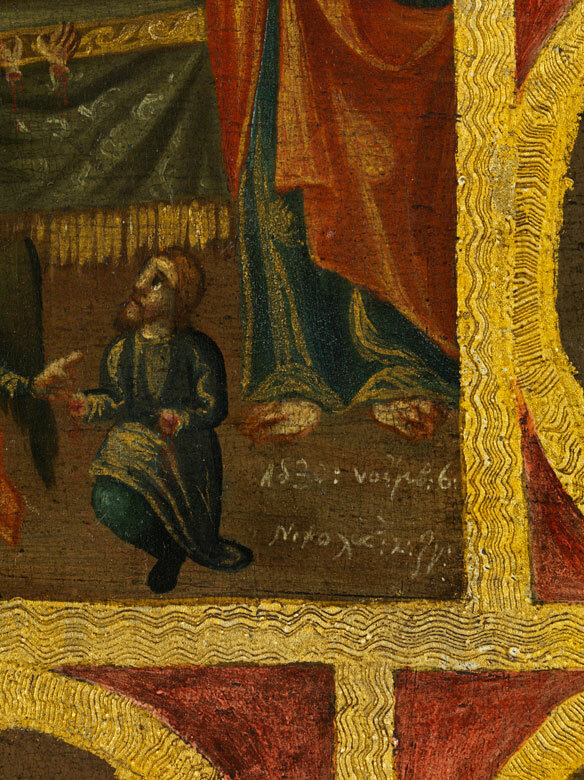 Tempera on chalk primer on panel, partially gilt. Accompanied by an expert's report of the Icon Museum Schloss Autenried near Günzburg/ Danube. 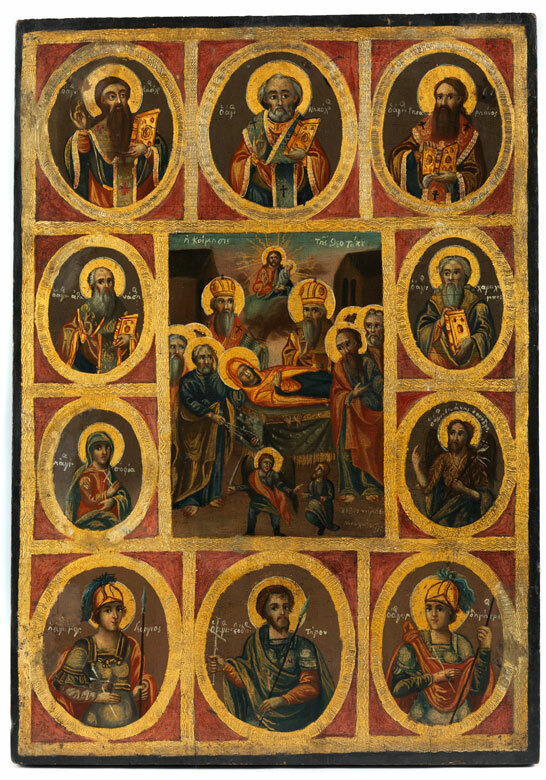 At centre depiction of The Death of the Virgin Mary, surrounded by the Apostles. Depiction signed and dated lower right: “(Im Jahre) 1830, am 6. November wurde die Ikone vom Ikonenmaler Nikolaus gemalt.” (Engl. 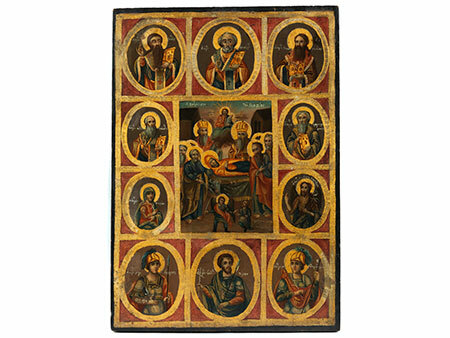 (in the year of) 1830, on 6 November this icon was painted by the icon painter Nicholas.) With minimal damage.